Defies seven signs of ageing for younger, healthier looking skin. Exfoliates to enhance skin’s natural self-renewal process for younger, healthier looking skin in four weeks. 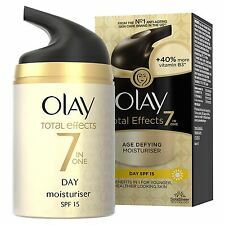 Reformulated with 40 per cent more vitamins than before, it’s Olay’s simple, smart approach to younger, healthier-looking skin. Infused with three precious seed oils, eye contours are visibly revitalised and look more radiant. Signs of ageing appear reduced, wrinkles appear smoothed, dark circles look visibly faded and bags appear depuffed. 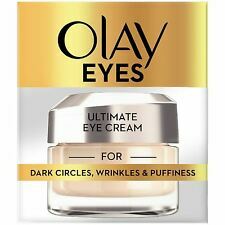 OLAY EYES ULTIMATE EYE CREAM 15ML DARK CIRCLES WRINKLES PUFFINESS NEW & SEALED. Condition is New. Dispatched with Royal Mail 2nd Class. 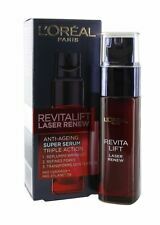 Revitalift Laser Renew by L Oreal Day Cream Anti Wrinkle 50ml SPF25 . 100% SATISFACTION or your MONEY BACK! BUY NOW! 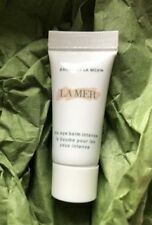 Eight Hour Cream Skin Protectant. ELIZABETH ARDEN. Travel size, 30 ml. Apply liberally as often as necessary. 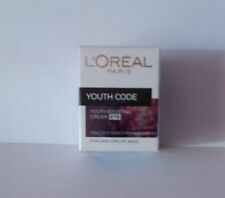 Revitalift Laser X3 by L Oreal Anti Ageing Power Cream Day 50ml New Improved Formula . Hyalu B5 has been through rigorous dermatological testing to ensure it is suitable for even the most sensitive skin. 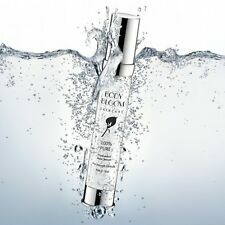 This formula contains two different sized molecules of Hyaluronic Acid. The larger molecule works on the surface of the skin to reduce wrinkles and re-plump the skin. Reveal younger looking eyes with Olay Eyes Ultimate Eye Cream. It provides 3-in-1 benefits to visibly smoothen fine lines and wrinkles, reduce the appearance of dark circles and reduce puffiness when massaged into the skin. Great skin is healthy looking skin with no imperfections, no visible pores, no irregularities nor signs of fatigue. No greasy or sticky effect. Skin Active. - Instantly: 24 hour continuous hydration. ** FREE FAST UK DELIVERY! 100% GENUINE PRODUCTS! 2 x L'Oreal Men Expert VITA LIFT Eye cream Anti Bags & Reduces Wrinkles NEW!! Reduces Appearance of Wrinkles under eye. both are full size products. Anti Bags & Anti Dark Circles. both are full size products. Take 10 Years Off Your Neck And Decollete - Guaranteed! Travel Size, 5ml. ALL ABOUT EYES. Ophthalmologist tested. ALPHA-H Liquid Gold 24 Hour Moisture Repair Cream( 50ml ) This is brand new and sealed but does not come boxed.. Brimming with Liquid Gold’s signature glycolic acid, alongside argan stem cells and 24 carat gold flakes, this rich, rejuvenating treatment cream is suitable for use around the clock – stimulating sluggish cells and actively ‘undoing’ signs of damage while maintaining moisture levels. Instantly, the eyelids are lifted, wrinkles are smoothed, dark circles are erased. The eye contour looks luminous and full of vitality. Expiry Dates: Decleor do not put expiry dates on their products, but their products have a factory reference code, with the exception of 1ml sample sizes, which identifies when it was produced. Magic Eye Rescue. - Magic Night Cream. Good communicator. Wonderful communicator. This extra ordinary skin solution tightens sagging skin to visibly lift as it smooths creases & wrinkles on the face & eye area. Lifts & tightens skin instantly. 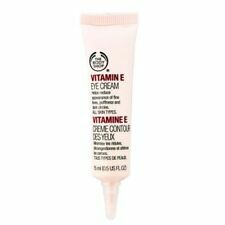 Burt's Bees Radiance Eye Cream 14.25g. Active ingredients: Allantoin, Vitamin E, D-Panthenol, Coconut oil, Shea butter. soothes skin irritations. calms the skin after therapy. Intended for. Actively correcting cream effectively improves the quality of skin prone to imperfections – combination, oily, shiny, gray, with enlarged pores, discolourations, or visible acne. Gently exfoliates, effectively reduces skin shine and pores, lightens discolourations and imparts radiance. Need to fake a good night's sleep?. 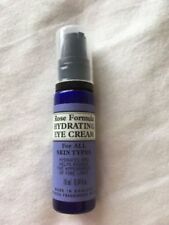 Help revive tired eyes each morning with an ice cool roll on and refreshing formula deigned to combat bags and dark circles. The hydra energetic eye roll on boasts a revitalising cocktail enriched with Peptido-Complex and Vitamin C to brighten dark circles. This extraordinary skin solution tightens sagging skin to visibly lift as it smooths creases & wrinkles on the face & eye area. Lifts & tightens skin instantly. Wonderful communicator. So watch in the mirror as the lines & wrinkles disappear before you very eyes. ★ Cleansing. ✦ Sunscreen & BB Cream. The synergy effect of snail and yam! ✦ Serum & Cream. Double care for whitening and wrinkle correction! The dual-functional formula for whitening and wrinkle correction brightens the dull skin tone, firms tired skin, and corrects fine lines. Our proprietary complex of extracted actives from every part of the Jeju Orchid, from root to petal. ✦ Sunscreen & BB Cream. ModelJeju Orchid Eye Cream. ✦ Serum & Cream. Product LineJeju Orchid. HOW TO USE. Capacity: 15ml. Collagen and Hyaluronic Acid improve the skin’s smoothness making it feel more supple and reducing the appearance of wrinkles. Oat and Lupine Extract stimulates cells renewal process, tightens the skin and protects against premature ageing process. Hydra Energetic. Anti-Bags & Dark Circles. Eye Roll-on. 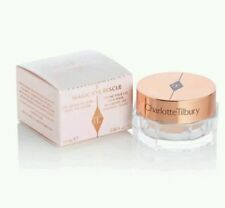 3 fantastic Charlotte Tilbury magic creams. Also with ORGANIC SCRUB - for even Lovelier Skin! Latest generation advanced active ingredients: argan oil, goat’s milk, urea, grape seed oil, liquorice extract, ginseng extract, vitamins A. Stimulates natural processes of epidermis renewal. Prevents fotoageing.